When the Woodward’s flagship department store in Vancouver’s Downtown Eastside closed in 1993, it intensified the sense of dispossession in a neighbourhood long affected by poverty, homelessness, and drugs. Body Heat tells the remarkable story of how a dilapidated vacant building was transformed into a socially, environmentally, and economically sustainable inclusive redevelopment. 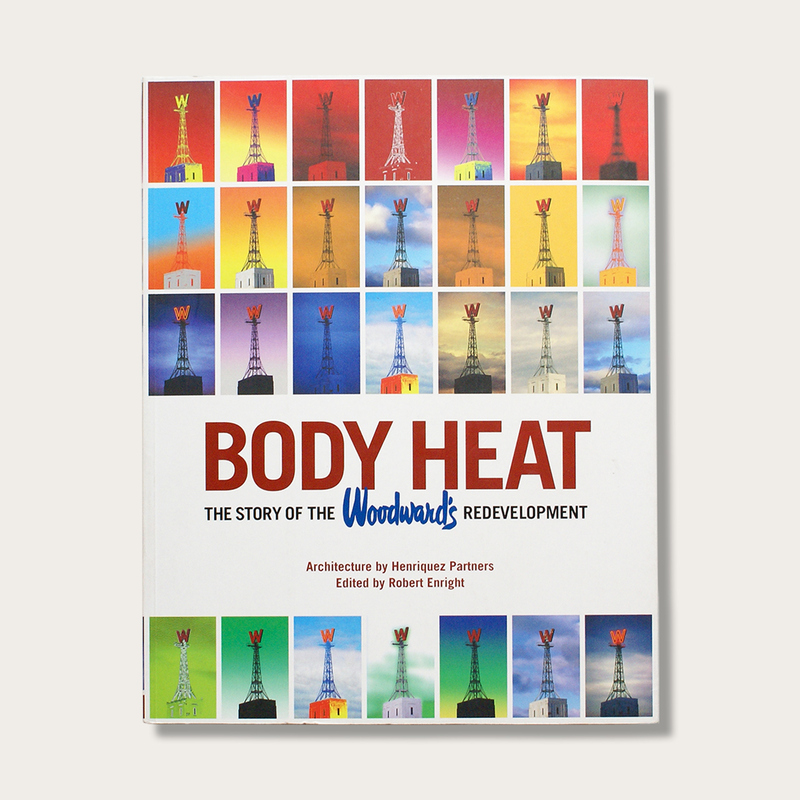 Edited by art critic Robert Enright, Body Heat features 23 interviews with the key people who helped transform Woodward’s into a one-million-square-foot multiuse complex that integrates market and social housing, retail, urban green spaces, accessible public spaces, federal and civic offices, a daycare, and the Simon Fraser University School for the Contemporary Arts. A comprehensive collection of historical photographs and memorabilia, construction photographs, documentary photographs, and architectural drawings accompany their stories. Body Heat is ultimately about a community’s capacity to integrate the poetic and ethical dimensions of existence. The intention of both the book and the Woodward’s Redevelopment is to give meaningful expression to people’s daily struggles for survival and orientation, to realize a larger social mission, and to challenge today’s architects to build beautiful cities for all citizens.